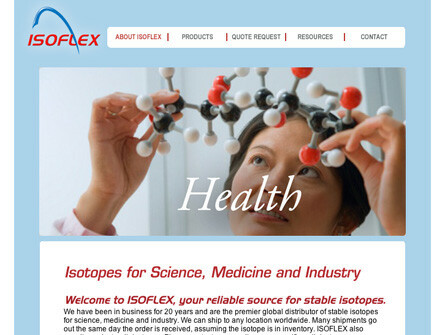 ISOFLEX USA needed a website that made a statement in their industry. They sell isotopes-but you can't sell those on the internet. So I designed and developed a website that includes an interactive elements chart, isotope strength and composition, and processing method. The website took the information from the visitor, and automatically compiled it into an online request for quote. Once complete, the RFQ was routed automatically to the right country office for tracking and sales and delivery follow-up.